Queen’s MBA students, Ben Reynolds and Adam Grahn, were second place finishers in the Sustainable Technology Track at the 2009 McGinnis Venture Competition at Carnegie Mellon’s Tepper School of Business. The McGinnis Venture Competition revolves around emerging industries such as information technology, biotechnology, sustainable technology, robotics, nanotechnology and telecommunications. A team of Queen’s School of Business MBA students took home first place and $25,000 at the 2nd annual Global Business Leadership Competition hosted by UCLA Anderson School of Management. The GBLC is a two-day, invitation only, case competition featuring MBA students from 16 top business schools from around the world including HEC School of Management (France), London Business School (UK) and University of Chicago Booth School of Business (USA). In its inaugural year, Queen’s Commerce Initiative Abroad (Q’CIA) took a group of Queen’s School of Business students abroad to volunteer over Reading Week. Q’CIA is an internal committee of the Commerce Society that aims to empower young business students to become more globally active and aware. At the Queen’s School of Business Commerce Society Annual General Meeting, a motion to ratify Oil Thigh Designs (OTD) as the Commerce Society’s first official business passed unanimously. 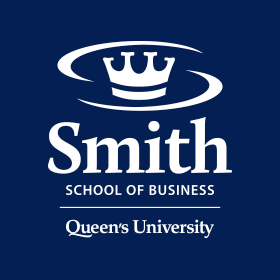 For Canada’s largest undergraduate business student society that hosts 14 national and international conferences and competitions, while operating 20 internal committees, entrance into the operation of businesses is the next area of strategic growth in its mission to enhance the Queen’s Commerce experience by representing student interests, inspiring leadership and empowering students to pursue their passion. A team from Queen’s Executive MBA in Ottawa were the first prize winners in the New Venture competition of the Queen’s EMBA and Cornell-Queen’s EMBA programs.